Bill Crawford was in a folk club the night Kennedy was assassinated – and on a great many more nights too! 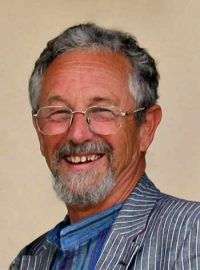 An Exeter Folk Club stalwart from the early days, Bill has run clubs and sessions across the South West, and he’s a regular performer and MC at Sidmouth Folk Week, Chippenham and Dartmoor Folk Festivals. A fine singer with a broad repertoire, Bill also sang with accapella group The Claque until they “retired” in 2017.